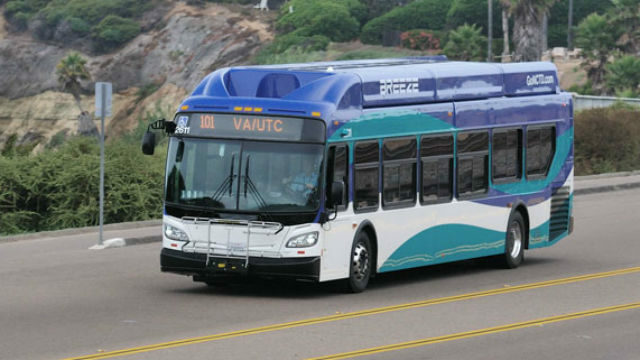 Dallas-based MV Transportation will take over operations of the North County Transit District’s bus, paratransit and specialized transportation services beginning Saturday, the agency announced Monday. MV, the largest privately owned transportation contracting firm in the United States, succeeds First Transit of Cincinnati. The NCTD said most First Transit drivers are being hired by MV. “We have been on the ground implementing our transition best practices for more than three months, and I am pleased to report that we will be ready to go on day one,” said Ron Barnes, MV’s general manager for the NCTD project. The NCTD approved a seven-year base contract with MV in February, with three years of possible extensions.